Naval Group says it wants to continue partnership with Mumbai-based Mazagon Dock Ltd, where the six submarines are being manufactured. New Delhi: The first Scorpene submarine is set to be commissioned into the Indian Navy in December even as its French designer is hopeful of a follow-on contract beyond the six that have already been ordered by India. Playing down concerns that the lack of a modern torpedo on the Scorpene — due to a tainted selection procedure — will blunt its combat edge, Naval Group said that the successful firing of a missile has proven the tremendous new capability it brings to India. The French company told ThePrint that it wants to continue its partnership with the Mumbai-based Mazagon Docks Limited (MDL), where the six Scorpenes are being manufactured and a follow-on order is needed to ensure that the technology transferred and skilled manpower do not go waste. Bernard Buisson, managing director of Naval Group in India, said that the company is looking forward to the upcoming Rs 60,000-crore contract for new generation submarines under the 75I project and is open to talks with possible partners in India. Though the deal for the submarines was signed in 2005, it faced multiple delays and controversies. The original plan was to commission the first submarine by 2012, but a series of delays at MDL in setting up the facility and procuring equipment for construction put the program back by five years. 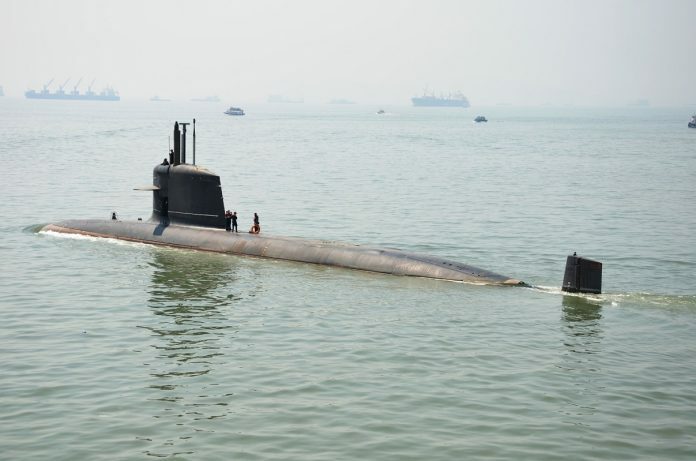 Given the specifications and technical requirements for the Scorpene were defined by the Navy more than a decade ago, the submarines will require upgrades and modifications at the first possible refit to integrate new systems and sensors. The French designer, which emerged as a winner for an Australian contract in 2016, also suffered an embarrassing leak of submarine blueprints that raised questions on data security. About INS Kalvari — the first of the Indian line of Scorpenes that will be commissioned in December — Naval Group said that it has demonstrated its prowess by firing a missile on target and is combat ready with the integration of a torpedo. “The Kalvari has both a torpedo and a missile. We have fired the SM 39 and it was very successful on target, exactly as planned. We also have fired the torpedo, which is in service with the Indian Navy,” Buisson said. The Navy has faced problems with procuring a modern torpedo for its submarine fleet after the cancellation of an order for Italian ‘Black Shark’ torpedoes due to allegations of corruption. However, the older SUT torpedoes that are in service with India’s Shishumar-class submarines have been integrated into the Scorpene fleet. Naval Group said that it is offering its new F 21 torpedo to the Indian Navy as part of the latter’s new procurement plans and has answered a request for information on the project. “We are offering a torpedo that will be with the nuclear submarines of the French Navy. The torpedo is designed for a nuclear submarine with multiple safety features. Now, we are recommending it for the Indian Navy as well,” Buisson added. The firm said that given its current production facility that is operational, it can deliver 20 torpedoes to India within 24 months if needed on an urgent basis. On the issue additional Scorpenes beyond the order for six, Naval Group said that its proposal for a ‘Super Scorpene’ with additional features has been received by the Navy and MDL would be moving a formal offering shortly. “The Navy said that it needed new features to be integrated into the Scorpene. So we have made a proposal and have presented the Super Scorpene to the Navy and they are happy. Now, MDL will make a formal offer to the Navy,” Buisson said. The French company believes that MDL should get an additional order for “three to six” submarines as it has already invested heavily in equipment and manpower for manufacturing the complex vessels. After the first submarine to be commissioned in December, more Scorpenes will be delivered next year. Khanderi that is next in line has already undergone successful dive tests. “Sea trials are progressing well so far and we expect that it will be delivered to the Navy by mid-2018. We should be completing the entire line by 2022,” the executive said.